Helmut joined EC M&A’s London office in 2012 and focuses on new business development, M&A transaction origination and execution, project management, and client relationship management. Helmut is responsible for establishing and maintaining relationships with corporate and Private Equity clients. He also advises clients in the Industrial Technology space on mid-market, cross-border deals across Europe, North America, and Asia. 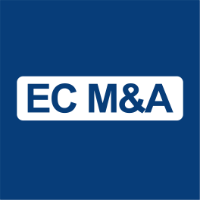 Helmut joined EC M&A’s New York office in 2007, where he advised clients on acquisitions, divestitures, and buy-and-build strategies, including origination of proprietary acquisition opportunities, financial analysis and valuation, due diligence, and project management. Helmut graduated with a BA in Economics from University of Innsbruck and received his MPA from Cornell University. A native of Italy, Helmut is fluent in German, Italian, English, and Spanish. He is a Registered Representative and holds Series 7 and 63 FINRA licenses.